Net neutrality is the idea that Internet service providers (ISPs) must treat content, users, platforms and equipment equally and not discriminate between them. In other words, an ISP (like Comcast) would be unable to charge more (or throttle) for streaming through Vimeo over YouTube, or for accessing the internet through a Sony Playstation 4 as opposed to an X-Box One. This is the basic principle of net neutrality, which is sometimes abbreviated as NN. Net neutrality is what the web has had since its inception and this had been further enforced in 2010, when . The new regulations in 2015 were passed to help ensure net neutrality would be enforced, and that ISPs would not be allowed to throttle or block specific websites, nor charge others extra for access to their users. The reason these rules weren’t implemented sooner is because the web has changed. Streaming video like Netflix and YouTube didn’t exist in the earlier days of the web, and so ISPs would have no motivation to throttle certain websites. However, it was clear ISPs were now beginning to abuse their power. On the contrary, net neutrality prevents ISPs from favoring one service over the other, the way Microsoft favors its own products by including them in their operating system instead of competing products. Internet Explorer for example, was able to gain and maintain dominance in the Desktop browser wars, not because it was the best browser, but rather because it was bundled with Windows. The courts would later find this to be monopolistic, but by this time Netscape Navigator (arguably a superior browser) was no longer in existence. IE would continue to dominate the browser wars until mobile came of age and Chrome would become the dominant browser since Google bundles it in their Android OS. Without net neutrality, nothing prevents ISPs from simply introducing their own streaming services and blocking or at least throttling competing services. This would essentially allow ISPs to provide a service more akin to cable television, where viewers are limited to whatever options ISPs provide. Since most people are limited by the number of ISPs in their area, these ISPs aren’t subject to typical market competition. Companies like Comcast don’t have to worry that their users will simply select from another ISP that is still offering an open internet. What’s more, is that while FCC Chairman (and former Verizon general counsel) Ajit Pai claims that investment into infrastructure is down and claims this is due to the 2015 decision. However, a deeper dive into this reveals that investment is down due to other factors, such as completion of large projects (that were paid for during years prior). This is why many tech companies, along with the actual inventor of the internet, have voiced their support for net neutrality. The myth here is the assumption that neutrality is something new. What’s new is the the reclassification of the internet to Title II, essentially classifying it as a utility, and barring ISPs from favoring content. The idea that the internet was “fine” is a matter of subjectivity, but there have been several incidents of ISP’s throttling and blackmailing content providers. Coincidentally, Verizon, Charter and Comcast are launching their own streaming services. What net neutrality means is that webpages have to be downloaded at the same rate. It doesn’t follow that their download times have to be the same. A larger page will take longer to download. It simply can’t be downloaded at a slower pace. Critics of net neutrality have made the claim that net neutrality means that pages have to download at the same speed (which is technically true if by “speed” one means “rate,” and opposed to total download time), but in a manner that confuses readers/viewers into thinking this means the pages themselves must have the same download times. This confusion is almost certainly intentional as critics have used misleading analogies. Steven Crowder for example has used the example of mailing a heavy item and a basic letter, and expecting them to arrive at the same time. The analogy here is confusing because there is nothing stopping a delivery truck from transporting these two items at the same time. In this comparison, the shipper is being charged for the weight of the object. In the instance of download speeds, users are being ostensibly charged for the rate of their download speeds, and the larger pages will simply use more bandwidth and take longer to download. Whether or not the internet should be considered a utility is subject to debate. However, the United States Court of Appeals for the District of Columbia Circuit ruled that it can be treated as a utility. What’s clear is that the internet is no longer merely a luxury, but rather a necessity to function in the modern economy. Furthermore, while the internet is often touted as a free market invention, it was in fact developed through government R&D, and funded by tax payers. Many opponents of net neutrality claim that the market will ensure that ISPs don’t prevent users from accessing content they’d like because it would make no business sense. This would indeed be the case if households could simply shop around for ISPs but in fact, most American households are limited to one or two options when it comes to high-speed internet. There exist some exaggerated claims over how many options exist, but these include mobile carriers which is a bit of a red herring in this case. Generally speaking, it’s ISPs who oppose net neutrality, and content providers who favor it. ISPs have much to gain by being allowed to control what they offer in their pipeline (for example, the streaming services they are already starting), the way Microsoft controls what they offer in their operating system. 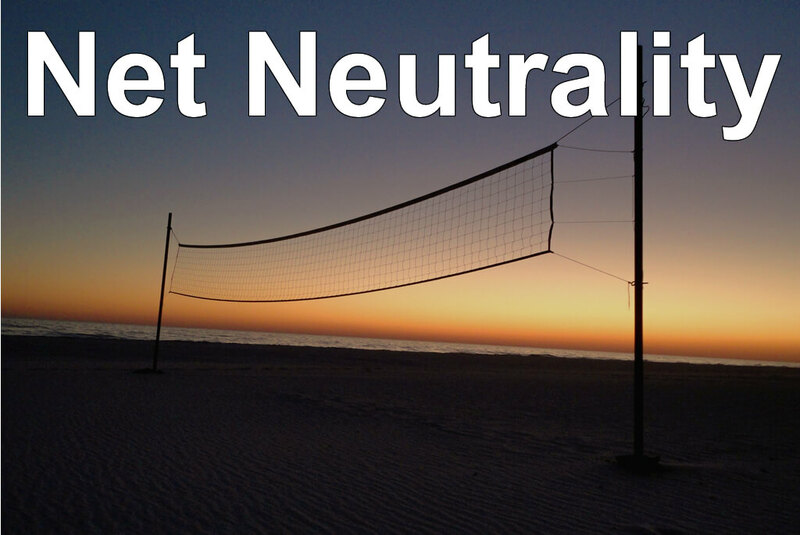 However, the technology industry overwhelmingly believes that net neutrality is essential for continued innovation. Here are some examples.